Ahava Laboratories spent five years researching a delivery system that could provide skin with the highest levels of Dead Sea minerals. 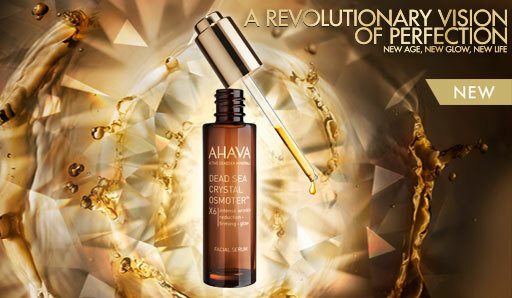 Their breakthrough, Dead Sea Crystal Osmoter, is the most mineral-concentrated serum that Ahava Laboratories have ever created. To create Dead Sea Crystal Osmoter, Ahava scientist synthesized and micronized Dead Sea mineral waters, turning them into crystal salts. They then infused those crystals - pure minerals - with Jojoba Oil. The oil helps deliver minerals into the deepest layers of the epidermis. * Measured in a clinical study performed by an independent institution. ** Based on user test performed over 14 days by an independent institution.